Photograph courtesy of the Whitney Museum. 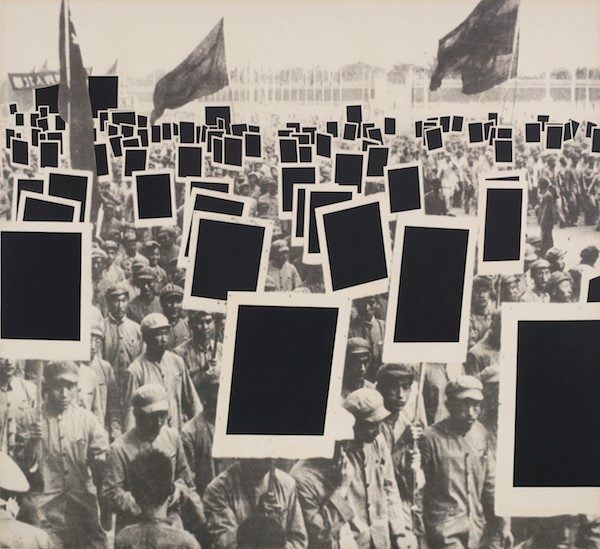 On August 18th, An Incomplete History of Protest goes on view at the Whitney Museum from the Whitney’s own collection. The exhibition displays how artists from the 1940s-2000s have confronted the political and social issues of their time. The artists’ see their work as essential to challenging established thought and creating a more equitable culture, such as ending the war in Vietnam or combating the AIDS crisis. The exhibition is divided into 8 sections: The “Resistance and Refusal” section demonstrates how artists after WWII and during the civil rights movement used ideas of resistance and refusal to reject policies and social norms. “Strike, Boycott, Advocate: The Whitney Archives” focus on material obtained between 1960 and 1971 that opposed the Whitney’s curatorial direction. “Spaces and Predicaments” are artworks that use oblique, poetic, and abstract means to express opposition. “Stop the War” is a collection of anti-war posters from the early 1960’s that reflect on the Vietnam War. “No Idle Gesture” explore the feminist labor from the 1960’s. “Mourning and Militancy” focuses on the activist work of the AIDS crisis. “Abuse of Power” features confrontational work of the racialized violence in America during the 1990s. “The Usable Past” concludes the sections with works made after 2000 that use historical figures to shape current and future political formation. Artists featured in the show include Mark Bradford, Paul Chan, Larry Clark, General Idea, Felix Gonzalez-Torres, Guerrilla Girls, On Kawara, Edward Kienholz, Glenn Ligon, Julie Mehretu, Toyo Miyatake, Senga Nengudi, Gordon Parks, Ad Reinhardt, Martha Rosler, Kara Walker, and others.